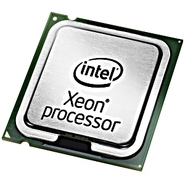 Dell - PW856 PW856 Dell Intel Xeon Quad-Core X5450 3.0GHz 12MB L2 Cache 1333MHz FSB 45nm Socket LGA-771 Processor. New Bulk Pack. Lenovo - 45K1608 45K1608 Lenovo Intel Xeon X5450 Quad-Core 3.0GHz 12MB L2 Cache 1333MHz FSB Socket Lga771 45nm 120W Processor. New Bulk Pack. Hewlett Packard - 462858-L21 462858-L21 HP Intel Xeon X5450 Quad Core 3.0GHz 12MB L2 Cache 1333MHz FSB Socket Lga771 45NM 120W Processor. New Bulk Pack. Hewlett Packard - 462593-B21 462593-B21 HP- Intel Xeon X5450 Quad-Core 3.0GHz 12MB L2 Cache 1333MHz FSB Socket LGA771 45nm 64-bit Processor Kit For Proliant Dl380 G5 Server. New Bulk Pack. Hewlett Packard - 463056-B21 463056-B21 HP Intel Xeon X5450 Quad Core 3.0GHz 12MB L2 Cache 1333MHz FSB Socket LGA771 45NM 120W 64-bit Processor Kit For Proliant Bl460C G1 Server. New Bulk Pack. Hewlett Packard - 463056-L21 463056-L21 HP Intel Xeon X5450 Quad-Core 3.0GHz 12MB L2 Cache 1333MHz FSB Socket Processor. New Bulk Pack. Hewlett Packard - 462593-L21 462593-L21 HP Intel Xeon X5450 Quad-Core 3.0GHz 12MB L2 Cache 1333MHz FSB Socket Lga771 45nm 120w Processor. New Bulk Pack. Hewlett Packard - 455968-002 455968-002 HP Intel Xeon X5450 Quad-Core 3.0GHz 12MB L2 Cache 1333MHz FSB 771-Pin LGA Socket 45nm Processor. New Bulk Pack. Hewlett Packard - 463058-B21 463058-B21 HP Intel Quad-Core X5450 Xeon 3.0GHz 12MB L2 Cache 1333MHz FSB Socket LGA771 45nm 120w 64-bit Processor Kit For Proliant Bl480c G1 Server. New Bulk Pack. Hewlett Packard - 458589-B21 458589-B21 HP Intel Xeon X5450 Quad Core 3.0GHz 12MB L2 Cache 1333MHz FSB Socket Lga771 45nm 120w Processor. New Bulk Pack. IBM - 44E5117 44E5117 IBM Intel Xeon DP Quad Core X5450 3.0GHz 12MB L2 Cache 1333MHz FSB Socket LGA 771 45NM 120W Processor. New Bulk Pack. IBM - 44E5122 44E5122 IBM Intel Xeon DP Quad Core X5450 3.0GHz 12MB L2 Cache 1333MHz FSB Socket LGA 771 45NM 120W Processor. New Bulk Pack. Hewlett Packard - 463058-L21 463058-L21 HP Intel Quad Core X5450 Xeon 3.0GHz 12MB L2 Cache 1333MHz FSB Socket LGA 771 45NM 120W 64 Bit Processor. New Bulk Pack. Hewlett Packard - 462801-001 HP/COMPAQ - INTEL XEON X5450 QUAD-CORE 3.0GHZ 12MB L2 CACHE 1333MHZ FSB 771-PIN LGA SOCKET 45NM PROCESSOR (462801-001). NEW BULK. IN STOCK. SHIP SAME DAY. Hewlett Packard - 463056-B21 HP/COMPAQ - INTEL XEON X5450 QUAD-CORE 3.0GHZ 12MB L2 CACHE 1333MHZ FSB SOCKET LGA771 45NM 120W 64-BIT PROCESSOR (463056-B21). NEW BULK. IN STOCK. SHIP SAME DAY. Hewlett Packard - 462593-B21 HP/COMPAQ - INTEL XEON X5450 QUAD-CORE 3.0GHZ 12MB L2 CACHE 1333MHZ FSB SOCKET LGA771 45NM 64-BIT PROCESSOR KIT FOR PROLIANT DL380 G5 SERVER (462593-B21). NEW BULK. IN STOCK. SHIP SAME DAY. IBM - 44E5117 IBM - INTEL XEON DP QUAD-CORE X5450 3.0GHZ 12MB L2 CACHE 1333MHZ FSB SOCKET LGA-771 45NM 120W PROCESSOR (44E5117). NEW BULK. IN STOCK. SHIP SAME DAY. IBM - 44E5122 IBM - INTEL XEON X5450 QUAD-CORE 3.0GHZ 12MB L2 CACHE 1333MHZ FSB SOCKET-LGA771 45NM 120W PROCESSOR FOR IBM SYSTEM X3650 (44E5122). NEW BULK. IN STOCK. READY TO SHIP SAME DAY.